Young children have immature immune systems and are more prone to infections of the nose, sinus, and ears. These are most frequently caused by viral infections (colds), and they may be aggravated by allergies. However, when your child remains ill beyond the usual week to ten days, a serious sinus infection is likely. 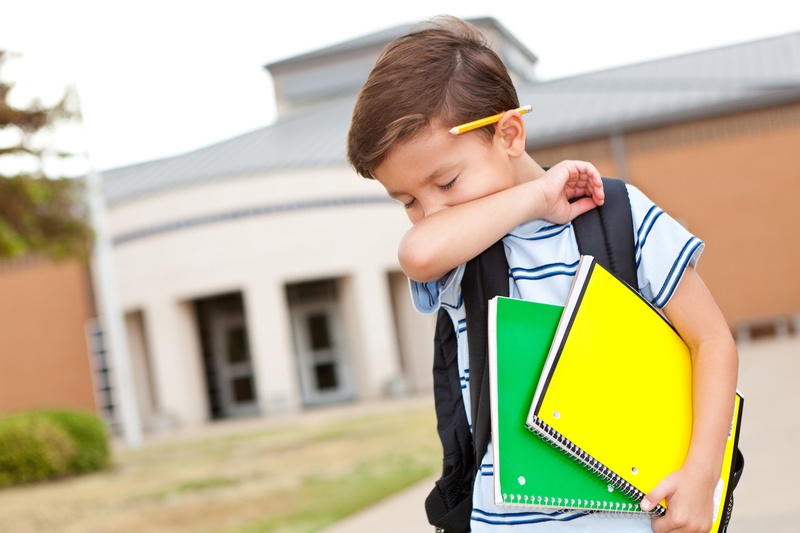 The occurrence of sinus infections may be decreased by reducing your child’s exposure to known environmental allergies and pollutants such as tobacco smoke, reducing his/her time at day care, and treating stomach acid reflux disease. For acute sinusitis, most children respond very well to antibiotic therapy. Nasal decongestants or topical nasal sprays may also be prescribed for short-term relief of stuffiness. Nasal saline (saltwater) drops or gentle spray can be helpful in thinning secretions and improving mucous membrane function. If your child suffers from one or more symptoms of sinusitis for at least twelve weeks, he or she may have chronic sinusitis. Chronic sinusitis or recurrent episodes of acute sinusitis numbering more than four to six per year, are indications that you should seek consultation with an ear, nose, and throat (ENT) specialist. The ENT may recommend medical or surgical treatment of the sinuses. 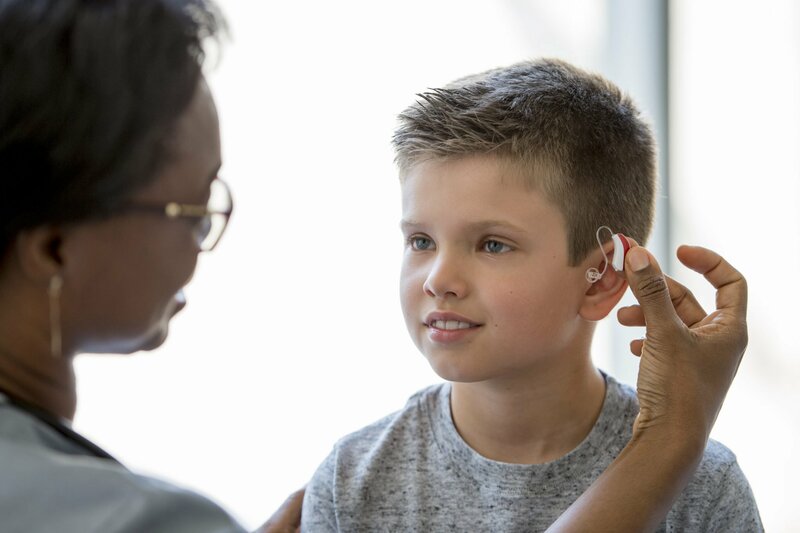 If your child sees an ENT specialist, the doctor will examine his/her ears, nose, and throat. A thorough history and examination usually leads to the correct diagnosis. Occasionally, special instruments will be used to look into the nose during the office visit. An x-ray called a CT scan may be ordered to help determine how your child’s sinuses are formed, where the blockage has occurred, and the reliability of a sinusitis diagnosis. In many cases the CT scan can be done with the MiniCAT scanners in our offices. These scanners are upright and emit much lower doses of radiation while producing superior quality images making them very child-friendly. Surgery is considered for the small percentage of children with severe or persistent sinusitis symptoms despite medical therapy. Although the adenoid tissue does not directly block the sinuses, infection of the adenoid tissue (called adenoiditis) or obstruction of the back of the nose, it can cause many of the symptoms that are similar to sinusitis. These symptoms include: runny nose, stuffy nose, post-nasal drip, bad breath, cough and headache. Typically, the first surgical option considered is an adenoidectomy (i.e., removing the adenoid tissue from behind the nose). This type of surgery has a quick recovery time – often, the child is back to being himself or herself by the next day. If allergy treatment and an adenoidectomy fail to control the sinusitis, functional endoscopic sinus surgery would be a second surgical option. Using an instrument called an endoscope, the ENT surgeon opens the natural drainage pathways of the child’s sinuses and makes the narrow passages wider. This can be accomplished in a minimally invasive approach using balloon dilation. Opening the sinuses and allowing air to circulate usually results in a reduction in the number and the severity of sinus infections. During endoscopic sinus surgery, cultures can be taken to help insure the post-operative antibiotic therapy will be specific to the child’s sinus infection.